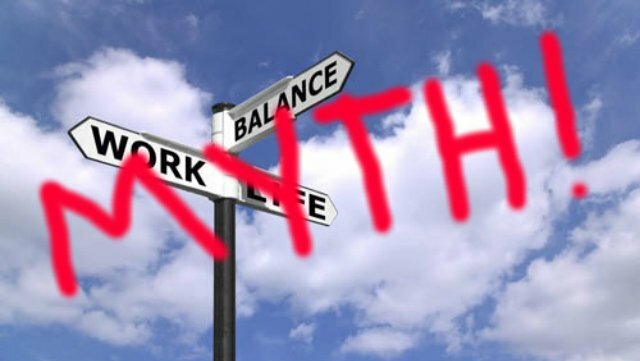 Work-life balance is a myth. It is an old concept. It does not work. It is an unhelpful construct that pits work against life unwittingly creating a battle that does not need to be fought. Work is part of life. A large part. Most people spend more time working than any other activity in their life. Work is intended to enable life. In life, balance is not the goal. The minute you become passionate about anything it throws your life out of balance. Entrepreneurs and high achievers know this. 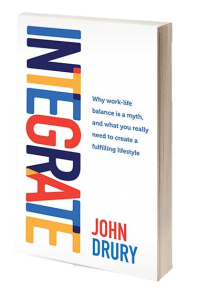 The idea of work-life balance was intended to help people think about how they make their personal life relate to their world of work. This is where I believe INTEGRATION is a much better concept. Most business owners and corporate executives have learned to write business plans and organise their work world. Rarely do they put the same investment of time and energy into planning their personal lives. Capacity to enjoy all aspects of life is what people want. Capacity does not come from balance. Capacity comes from integrating all these varied aspects of life in an holistic way. So many people, especially in their mid years (35 – 50), become overwhelmed with all the roles and responsibilities of life. There is a period of about 20 years when there is pressure from every direction: children, mortgage, school fees, business or career, partner’s career, health and fitness. For some in this period they need to start looking after their parents too. To build the life you want, it is not about balance. It is all about integration. To do this it requires that you become aware of all the important parts of your life. Then you need to set goals across each area, and make plans that are integrated into your schedule in such a way that you can fulfill the goals you have across your life. In order to help you start this process I have developed a life mapping tool which you can download for free when you click here. One of the most powerful things I have done over the past 12 months is to develop a program called Take Back Control. The highlight of this program is a 2 day retreat which my wife and I lead at a beautiful beach location at Avoca Beach. People who have done this program have moved from overwhelm to a sense of peace and calm about their life as they have developed their whole of life master plan for the next 12 months. They have learned to integrate their personal and work life in a way that hugely increases their CAPACITY. To learn about our next Take Back Control program for 2016 click here.